My shelves are full of bluetooth speakers, big ones, square ones, turtle shell ones. 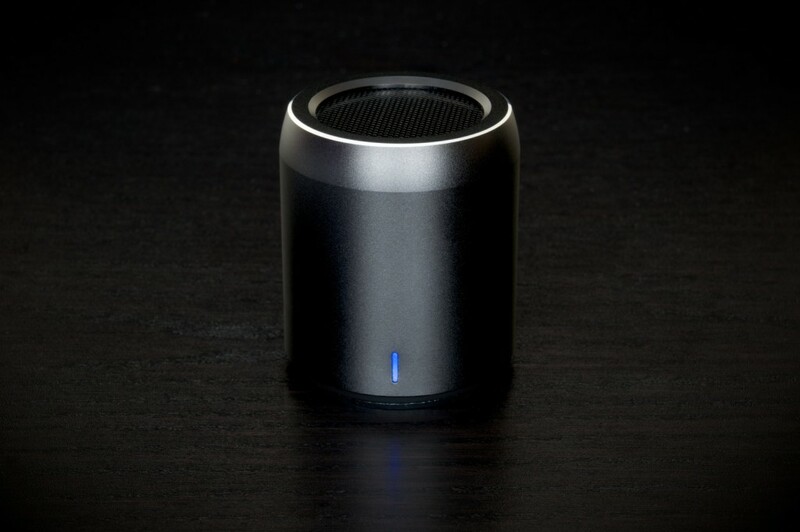 I thought I had seen them all, but then Mini Audio sent me their Mi, a tiny new NFC Bluetooth speaker. 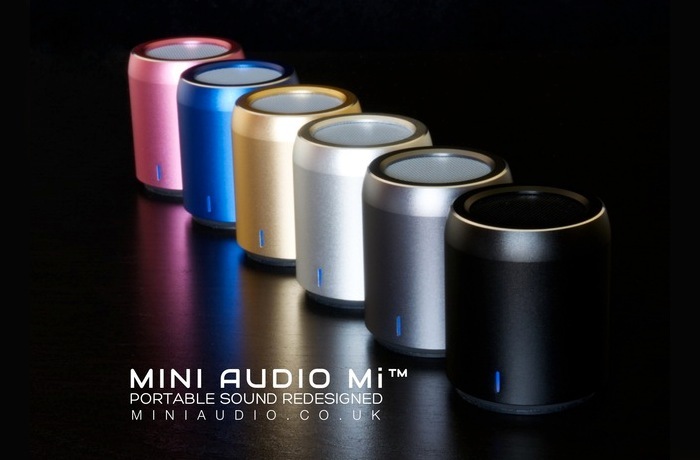 Mini Audio are a London based company, who created their Mi using the power of crowdfunding. The Mini Audio Mi is constructed with an aluminium body and the best comparison in size is that it’s smaller than an egg. Yet produces a sound that I found to be vibrant and clear. I was honestly surprised with how much I like this speaker, though small it really packs a punch in the sound department. This tiny Bluetooth speaker is capable of providing up to 10 hours of playback on a single charge and is capable of pumping out up to 90dB of sound. Though I wasn’t able to test this feature, you can connect multiple speakers to each other wirelessly, allowing you to create a surround sound system. There isn’t a lot to look at, the Mi has a LED indicator on the side, a power button on the bottom, headphone port, and the speaker grill on the top. This minimalistic design is welcomed with more and more people adding more and more buttons and features to their speakers. This sleek egg sized speakers offers exactly what you want is a speaker, bluetooth/NFC capabilities and a good sound. 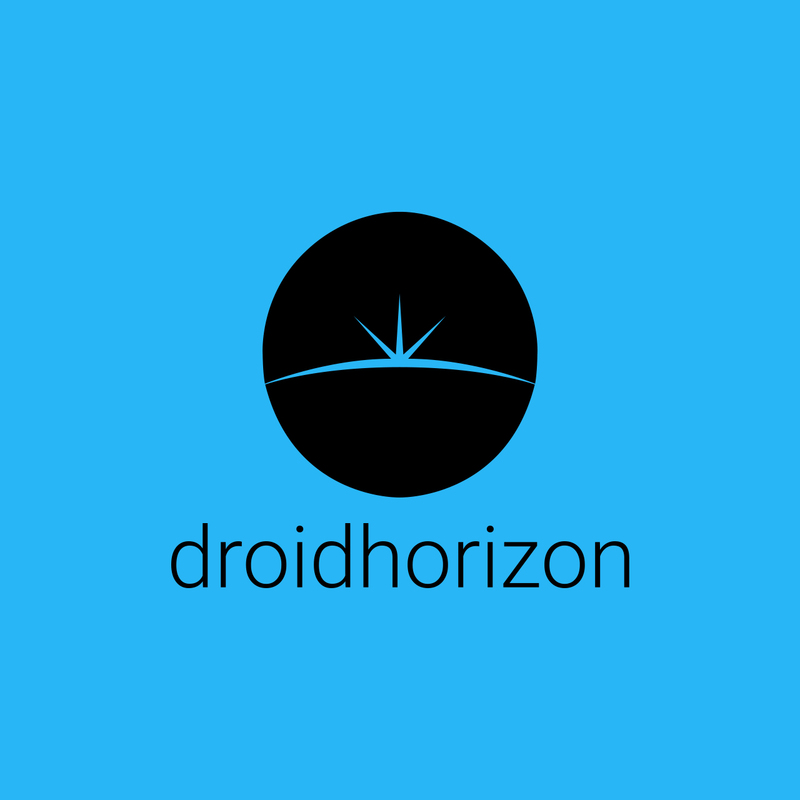 Volume is controlled through the phone, and not the speaker itself, this allows the size to be as small as it is. The charging cable is not microusb, it users the headphone port in the back, meaning you cannot lose the cable. I was a little disappointed, as it would of meant I could charge it round someone’s house if needed, instead I have to make sure I have the cable handy. Though I think this is all down to keeping the size of the speaker down. For only £39.99 & free shipping, it’s a great little speaker to have. Its probably the most portable speaker I have ever used, and the sound produced from this little cylinder was good enough for me.